Paramore returned to the UK! As longtime fans, there was no way we were missing this one! 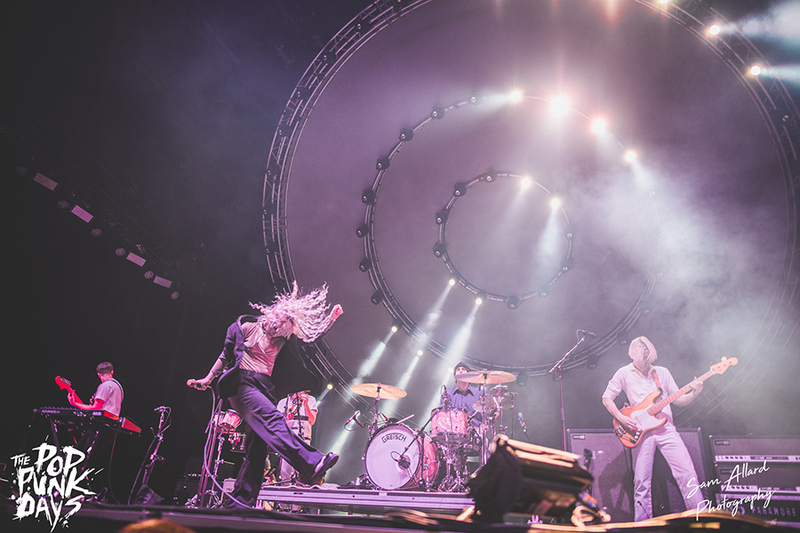 This is the band’s second stint around these shores, since they released their long-awaited fifth studio album, After Laughter back in May. A lot has certainly changed for the group in the last seven years, but their ability to fill an arena certainly has not. Something I became very much aware of, whilst filing in with thousands of others into the vast Genting Arena. Paramore kicked off the evening with the powerfully-catchy Hard Times, the very first single from After Laughter. Williams, tambourine in hand with a head full of bouncing, set the tone and wasted no time getting the crowd dancing whilst they sang along. 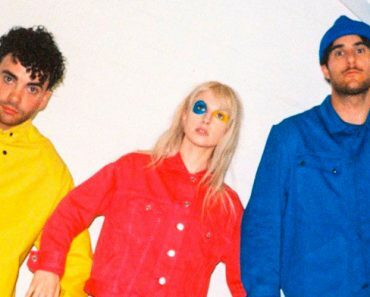 The whole set strongly celebrated the new album, including other singles, Told You So and Fake Happy, along with the likes of Pool, Caught In The Middle and Forgiveness. Williams eluded to the tough 2017 she’d been through personally, which gave even more weight to a lot of the lyrics that the deceivingly upbeat music can at times mask. They were also joined by mewithoutYou’s Aaron Weiss for some incredibly hard-hitting guest vocals on No Friend Of Mine. 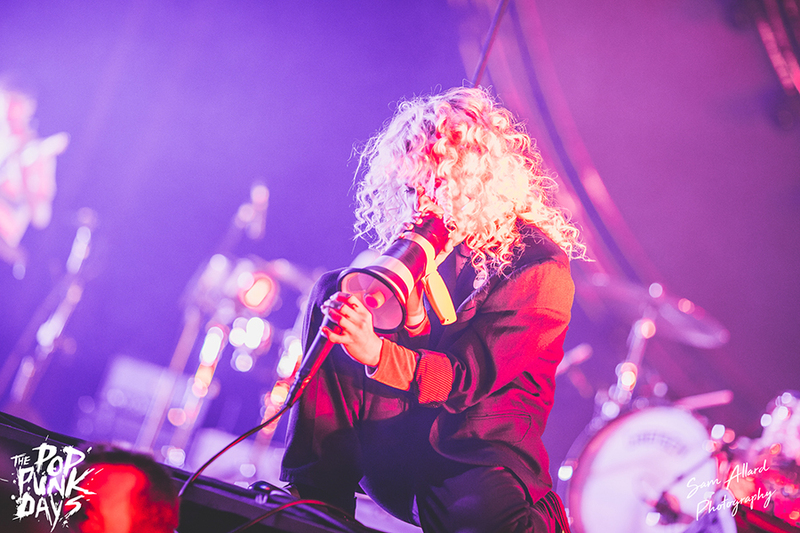 Hayley Williams is, quite simply, a phenomenal performer. Her energy was infectious and she didn’t stop moving all night…yet her voice did not falter. The vocal performance was nothing short of astounding and it’s clear just why such a talented performer has steered this band to the global success they have become. 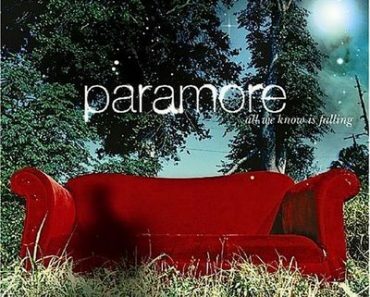 Those who have followed Paramore a long time are probably well aware of the controversy that’s followed the band in recent years. This certainly didn’t show, it was clear to see just how happy the trio were being back together on stage and playing new music. Farro’s return to the band has been somewhat seamless, almost as if he never even left. You can tell by their playful interactions on stage, that both Williams and York appreciate having him back. 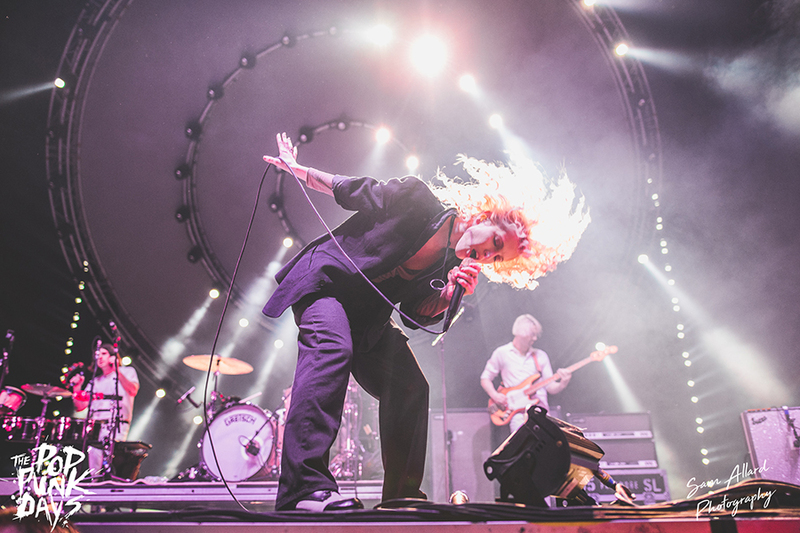 Earlier Paramore fans were not forgotten, with also a good mix of older hits throughout the set, including Ignorance, That’s What You Get, and of course the fan-favourite – Misery Business. In a moment of reflection, Williams humbly acknowledged how they realise this song is what first got most people in the room listening to them. With this however, she announced also that a lot has changed since they released Riot! back in 2007 – “We are not those people, and neither are you” – simply put, they’ve done a lot of growing up and perhaps want to remind everyone their recent shift in sound isn’t perhaps the only thing that’s now different. Regardless, this didn’t hold them back and Williams barely needed to use the microphone during this one, the whole crowd singing it back to her word-perfect. After a short interlude and introduction to the full band on stage, fans of Farro’s own band, HalfNoise were then treated to a performance of the wonderfully catchy, French Class, with Farro leaving his “throne” to take his own turn on the mic. 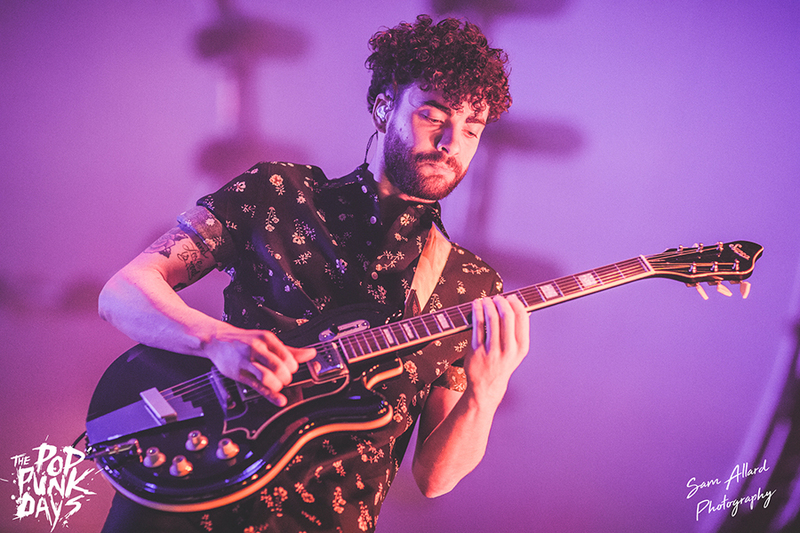 Hearing it, it’s clear just how much his own sound has played a strong role in the production of After Laughter. After Laughter is out now on Apple Music & Spotify. And if you haven’t listened to HalfNoise yet, definitely be sure to check out their latest EP too, The Velvet Face.